I figured anyone that's new to entropia on the forum might here us talk about praising Lootius from time to time. For anyone that doesn't know who he is exactly here's a little history on the god. Copied from mg joda's post on pcf. Lootius (name coming from the english term "loot") is a popular fictional video game diety that emerged among gamers in 2005 and took its origins in the massive multiplayer online virtual universe Project Entropia (now known as Entropia Universe) as a stock character to symbolize the idea for an alternative method of playing the game, supposedly an attempt to antagonize the highly calculative, economically efficient, "number-crunching" approach to Entropia Universe that the majority of profit seeking players adapted to practice. Today he/she is a humorous folklore character in the growing sub-culture of computer gamers. The basic premise of Lootius is the insistance on the power of random chance, and a highly persistant propagation of statements concerning appearance of highly sellable loot on the monsters, animals, mineral deposits, and craft items in the game. He is associated with controlling the flow of expensive items that a gamer may encounter on their adventuring path. Certain players, presumably blessed by Lootius, would always get more and better spoils than their counterparts, having an edge of being the diety's favorites. Players who supported the idea of Lootius operated as priests on a basis of a fictional church, and at one point formed an Entropia Universe society called Church of Lootius, lead by a renowned member of Entropia Universe, ViagraFalls. The Priests of Lootius, as they called themselves, engaged in social activities of the game more actively than in activities requiring the spenditure of PEDs (hunting, mining, crafting items), thus earning themselves a somewhat negative social stigma as being broke beggars, as most of them were willing to accept donations in the name of the church, but claimed to never make profit. They were often seen during the boom of Lootius Religion in Project Entropia in 2006 standing in the streets of virtual cities and "preaching" their faith. According to the Lootius Priests, one wins money in the game by embracing the fact that there is no system in the system, and that mathematics and knowledge of the game's virtual geography have no control over success of particular enterprises. Instead, accepting Lootius as their virtual diety and personal protector of one's avatar (often coupled with a donation to one or many particular priests), a methodic paradigm similar to modern christianity's strategem for accepting Jesus Christ: it is never too late, and all you have to do is ask and truly mean it. Paradoxally, much to the content of the priests, Lootius became very popular among dozens of Entropian societies, becoming quickly a major topic on numerous forum boards all over the gamer web communities, but not as a "right path", feasable, formidable style of gaming, rather as a joke and a reason to blame for failures. This did not in the least discourage the original Lootius propaganda, the preachers seeming to have merely wanted popularity of their idea, not necessarily positive popularity. In Entropia Universe at least two major societies exist today that are known for their affiliation with the belief in the "ultimate random": Church of Lootius and Knights of Lootius. 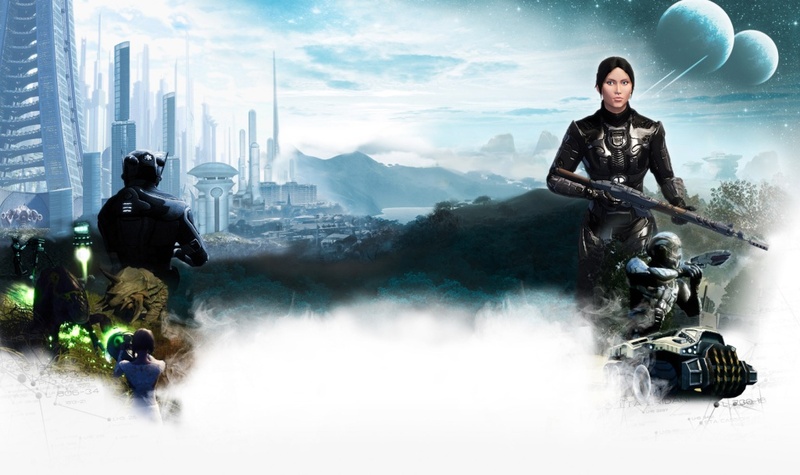 The Entropia Forum members raised the question on the boards addressed to Entropia Universe management whether Lootius is true and has any form of staff support and mechanic validity in the game. 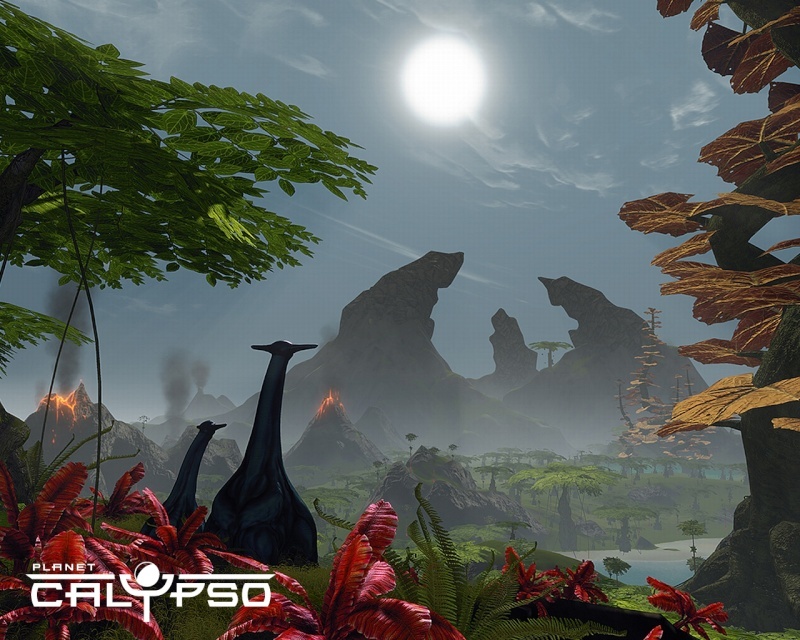 These requests were never answered and mostly ignored, leading the playerbase to believe that Lootius did not come from a reliable Entropia Universe staff source after all, and is purely a creation of players themselves. References to the character/concept of Lootius are picking up their numbers with surprising speed. They came to be a reoccuring lingo element in the gamer folklore and lifestyle, shared, accepted, and understood among gamers muchly with the same ease as did terms "pwn", "leet", and "noob". Since gamers worldwide often tend to form clans, societies and guilds, and migrate together between different online games, some gamers familiar with Lootius have migrated from Entropia Universe to play other games, and ideas of the Lootius Religion were carried away and adapted. Different confirmed versions of Lootius figure now exist throughout World of Warcraft, Guild Wars, CABAL Online, and Warhammer Online, along with possibly a number of other games, unconfirmed. A vast number of YouTube MMO hunt videos today carry Lootius jokes and implications as their plot, the lucky hunters demonstrating their affinity with the supernatural "protector of luck". Majority of these videos are still coming from Entropia Universe, where Lootius reached the peak of popularity. Escaping confinements of Entropia Universe as its exclusive environment and audience, Lootius made it into the game world outside Entropia and became a typical gamer's widely generalized personification of luck and random chance, a signature motto of defiance towards the gamers who prefer thorough research, careful tactical planning, and economic strategy as their play styles. By some people Lootius is viewed as a reminder to not take currency accumulation in videogames too seriously, and is used to mock the "achiever" type gamers. Admirers of Lootius pride themselves for having won the same amount of loot by a simple prayer, while the pragmatic players had to labor and plan their actions tediously for hours to win it. Across online game platforms with real time player ran economies, greetings such as "Lootius bless" and "May you go with Lootius" are today considered good willed humor. An ultimate goal of a Lootius follower in Entropia is to get wealthy, but only through faith in the diety. Rather than taking effort to study an activity, a believer of Lootius lets the "chips fall where they may", relying on gambler's luck. In the Entropian universe, such ultimate goal is achieving a HOF (Hall of Fame) bonus, a loot of considerable amount, globally announced in game chat and kept in a special fame table for 24 hours. From there stems the entropian adaptation of Shakespeare's "to be or not to be" - "to HOF or not to HOF". Among the believers in random chance, another saying circulates: "You do not find a HOF, a HOF finds you." 1. Lootius is everything. Alpha and Omega. Accept Lootius in your Heart. 2. Saying "Hail Lootius" is not enough. You must really think it, and believe. 3. Pray every day, for self & friends. Put your soul and heart into the prayer. 4. Thou shalt help out n00bs. Kindness to the poor is blessed. 6. Thou shalt not steal from, insult, or offend any other Lootius worshipper. Lootius character in Entropia Universe was portrayed as a somewhat condescending 1970s disco-loving old geezer, blindly shuffling items and spoils. An alternative popular belief in the same time portrayed Lootius as a woman, hence explaining why "Lootius favors men", the latter fact, incidentally, not at all proven as true. The priests of Lootius tend to enjoy adding mystery to the true origin of the diety, hoping to make it more quizzical and add a mystic facade of legitimacy. The first mentionings of Lootius, however, appeared as early as winter of 2005, on Entropia Pioneers public boards. Entropia Universe players Konrad maniac Knox and Nea Nea Schaefer (one responsible for the name of Amethera continent sector Nea's Place) claim to be the originators of the diety's concept. The two used to be friends and hunt together in 2005, and later developed a form of friendly rivalry over who is truly the first to had been "descended upon" by the Lootius. Konrad Knox was believed to be the more likely candidate for being Lootius's inventor as he actively played a preacher, making his daily duty composing rhymes and songs and quoting the self-made gospels in global chat in every city on the only existing at the time continent in the game, Eudoria. Knox was also remembered for having sold his "blessings" for 10 to 20 PEDs to other players, visiting their appartments and performing Lootius ceremonies to bless the owner of the particular home as a good hunter. It has been said that players he had blessed indeed achieved HOF as he promised, within a week from the blessing, but skeptics speculated that the prophecies do not come true for just as equal a number of people as for how many they do come true for, but the ones who did not succeed are too shy to report it, afraid to be shunned as gullible, hence resulting in Konrad Knox's elementary manipulation of statistics, improving his reputation. In the interview with Konrad Knox he confirms that he actually charged players in Entropia 25 PEDs to have their names put on his in-game Friends List as a promise of good luck. Dominating majority of Entropia players still prefer the scientific method of playing the game and consider Knox a scammer. A year after Konrad Knox's temporary retirement from the game, independently from him, Entropia Universe player ViagraFalls and his wife Lykke TheNun establish society Church of Lootius, offering a number of commercial services to the Entropian community, including Lootius Air Service, Storage Space Facility, and Shop Complex, aside from general spiritual guidance. While stating to perform in the name of Lootius, Church of Lootius society does not appear to follow Knox's dogma verbatim and has a commercial basis more similar to the other Entropia societies, based on market knowledge and economic strategy.